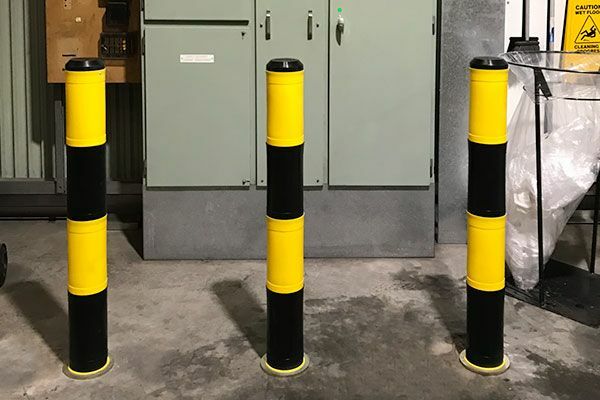 Shock absorbing bollards for industrial/commercial applications to protect assets by absorbing impact from slow moving heavy vehicles. 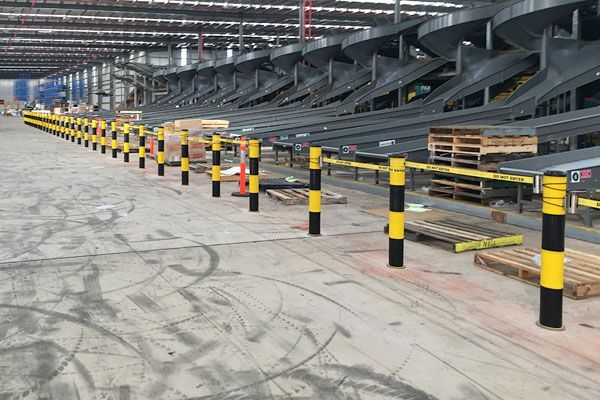 Suitable for factories, warehouses and carparks etc. Each SAB comes fitted with high impact polyethylene protective sleeves. The sleeves are U.V. stabilised and won’t fade, rot, rust or peel. 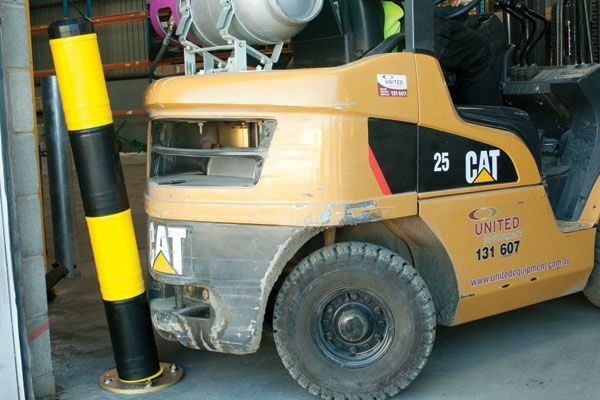 Never have to paint chipped, scratched or rusted bollards again. 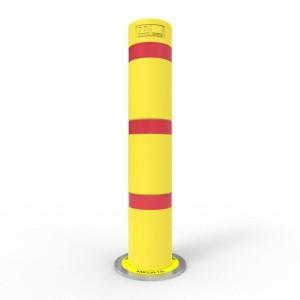 (Click here for more information on protective bollard sleeves). SABs are designed to be used anywhere vehicles are manoeuvring at low speeds, such as carparks and warehouses etc. The self centering design means the SABs can take repeated impacts without incurring permanent damage. They simply absorb the impact and return to their original position. These unique characteristics result from the combination of clever engineering and the use of high tech composite materials. 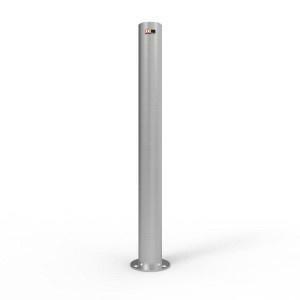 SABs are available in 140mm diameter in either core drilled in-ground or surface mounted models. 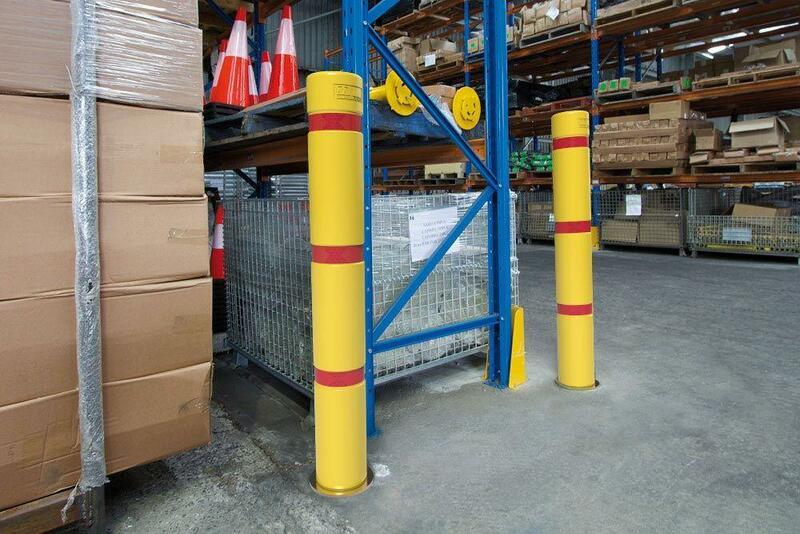 Suitable for industrial and commercial applications for asset protection from slow moving heavy vehicles. 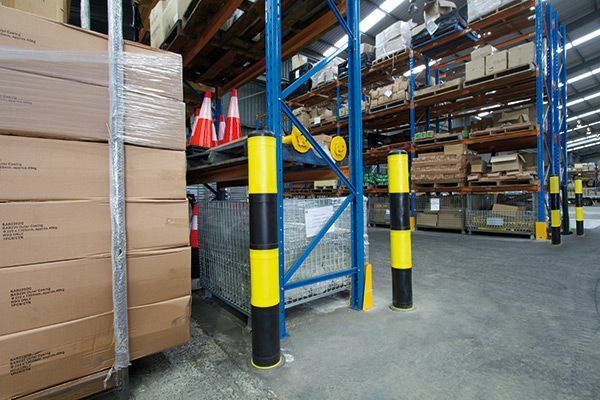 Ideal for factories and warehouses. Minimises damage by absorbing repeated low speed impacts. Surface mount or core drilled models available.